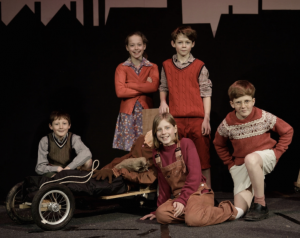 Port Regis School - is boarding good for your child? To board or not to board? It’s that time of year again, when a whole tranche of tweenies pack their bags and head off to prep school to board. Boarding – flexi, weekly and full – is going from strength to strength even at prep school level, but what is it about modern boarding that makes it so popular even in 2018, when we are well beyond the days of wealthy landowners living far from great schools or aspirational Victorians wanting to keep up with the Joneses? Surely boarding schools are havens of sobbing, snoring, bed-wetting pre-teens huddling together in freezing dorms and hiding from Trunchbull and The Chokey? Um, no actually. Inspired by Hogwarts and St Trinian’s and just a glimpse of the facilities (Soho Farmhouse meets Eurocamp meets Disney), switched-on kids want to live the dream of midnight feasts and endless sleepovers, while for parents a seriously good education often in an idyllic cricket-in-the-quad setting (without the stress of homework) beckons for their little darlings. And so, the draw of boarding school thrives – for some it might be a necessity, with parents abroad or travelling, for others a status symbol, the next thing to be bought after the Model X Tesla and a sure route (they hope) into the Establishment. Yet for others, myself included, it is about choosing the place they would like their child to grow up in – a place they can climb trees, play sport until they drop and have the very best in both academic and pastoral care. With mobile phones allowed (and snuck into the dorms at night), illegal tuck (I’ve heard stories of kids ordering pizza from the local takeaway to be delivered to the squash courts) and flexi boarding, it can be about friendship, freedom and growing up in, dare I say it, a more innocent world. 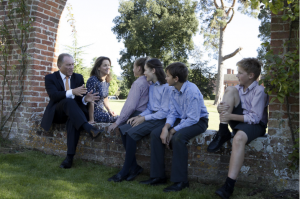 To find out more, we put the question to Stephen Ilett, Headmaster of Port Regis: could boarding school be the best thing for your child? Muddy Stilettos: What is your background? Have you always taught in boarding prep schools? Stephen Ilett: I actually grew up in a boarding school. My father was a Housemaster at a school in the north of England so you could say I was born into this job! I myself boarded and then when I went into teaching my first job was at Caldicott in Buckinghamshire, a boys’ boarding school. My next school, Milbourne Lodge, was a day school in Surrey but I am now very happily ensconced in a boarding school once again here at Port Regis. Tell me about how boarding works at Port Regis. What percentage of children (of what age) board? How does your flexi-boarding/occasional boarding work? Overall we are 55% boarding to 45% day. This varies from 15% in Year 3 up to 90% in year 8. There is a thriving and very happy boarding community here at Port Regis. We have four boarding houses, one each for Junior Girls, Junior Boys, Senior Girls and Senior Boys. The majority of our pupils will enjoy some form of boarding here before they leave, whether that be full, weekly or the occasional night. By the time the children are at the top of the school they will mostly be boarding in preparation for senior school. Lower down the school the children start to board more regularly from Year 5 and here our flexible boarding options are popular. What are the main benefits of prep-school boarding? Boarding is a fantastic experience that helps children to develop independence and gain confidence, whilst building life-long friendships. Almost all PR pupils move on to senior boarding schools when they leave here so a great deal of what we do is to prepare the children for this next stage. I am a passionate believer in the benefits of boarding and have seen the transforming effect it has had on children after a relatively short time with us. 21st century boarding is about giving children access to a breadth of opportunity, building their confidence and independence, enabling them to learn crucial life skills in preparation not just for senior school but for their lives beyond. 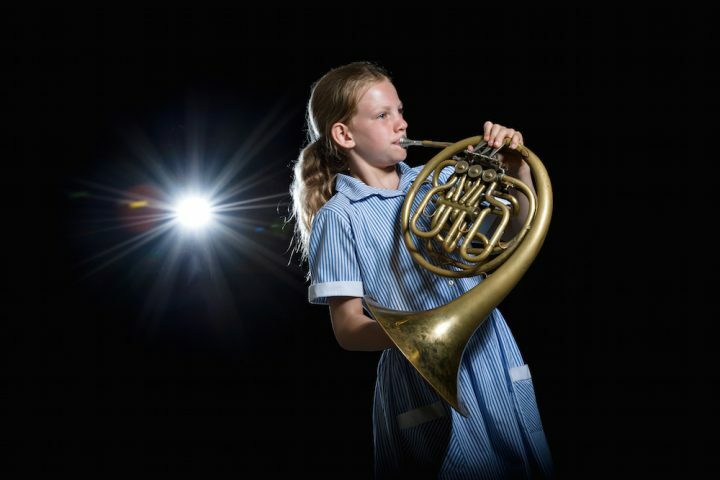 Boarders can take advantage of additional non-classroom contact time with teachers in the evenings as well as supervised prep and extra music practice time. It gives them the opportunity to try more extra-curricular activities, helping them to develop their range of interests. It also provides the opportunity to live in close quarters with peers from different backgrounds, and from all over the world, establishing friendships that will last for a long time after they leave Port Regis. They learn how to get on with people, or at the very least – and perhaps more importantly – to establish a good ‘working relationship’ with everyone. These are increasingly critical skills which they will derive huge benefit from learning at an early age. How are weekends filled? What sort of activities are on offer? With anywhere between seventy to over one hundred boarders in school, every weekend is great fun at Port Regis. We aim to provide a careful balance of free time and planned activities to keep the children entertained and happy. Every weekend is worth staying in for with regular themed events, dances, games, competitions, outings and opportunities to do something different. 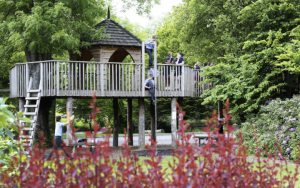 Our wonderful grounds and facilities allow the children to explore and play to their hearts content; or if they prefer, they can enjoy some downtime and sit and read a book. We really do try to make sure that there is something for everyone. 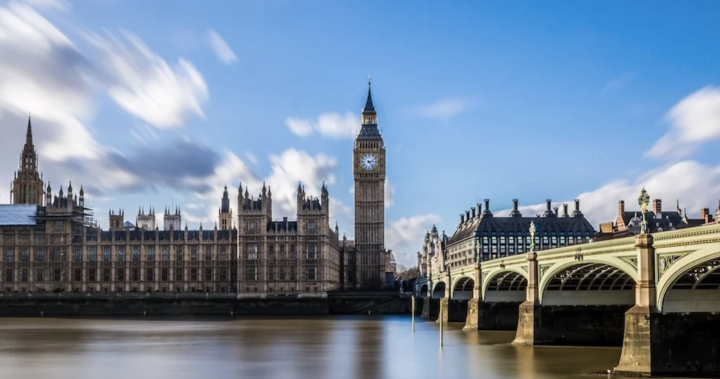 Unlike most boarding prep schools, we never close at weekends and even stay open for some exeats if there is a demand for it, something that our overseas and military parents in particular greatly appreciate. How do you ensure successful integration between boarders and day pupils? Can cliques develop? There really is no cut-off between day and boarding here. Many of the day children stay for the after school extra-curricular activities that the boarders do and there are genuine friendships between those who board and those who live locally. All pupils are encouraged to integrate and it is something we keep a close eye on through our pastoral care network, especially tutors and houseparents. The friendships that the children make at a boarding prep school last a lifetime. Every year we hold a drinks party in London for Old Portregians and to see the genuine pleasure there at meeting old friends is just wonderful. The happy experience they had at PR and the bonds they made have been unbroken by the move to senior school, university and beyond. Homesickness is one of the most common concerns for everyone within a boarding environment. It is very normal, may occur at any point, will vary in length but will always pass in the vast majority of cases. The return to school after a weekend out can sometimes be particularly tricky. If returning on Sunday, supper at 6pm is an ideal “joining in” time followed by a cosy evening in the Boarding House. If a child is particularly homesick it may be easier and less stressful to return on Monday morning. We strive to ensure our boarders are safe, happy and engaged in all their day to day activities. In each of our four boarding houses we have a highly talented and committed team of houseparents, assistant houseparents and gap year staff, all focused on the very highest standards of care. From September 2018 we are introducing an extra level of care into all the boarding houses – Housemothers. Their role includes much of the nuts and bolts of boarding house life focusing on wake ups, laundry, lost property, contacting parents when needed and carrying out day duties in the Houses before handing over to houseparents in the evening. They will also provide another sympathetic ear or chat when needed! What systems are in place for the boarders to communicate with parents / teachers / pastoral house parents? Each Boarding House has a number of pay phones and Skype facilities to use to contact their parents. Parents are very welcome to phone their children in the evenings on the payphones and the children can phone home via a number of other routes during the day – important if parents are in another time zone. Mobile phones during term time are not permitted – there are a plethora of other things we want them to be doing and enjoying at school other than staring at a screen! International boarders may have a mobile phone whilst travelling to ensure that they can be contacted in case of emergencies. All children also write a letter home each week. 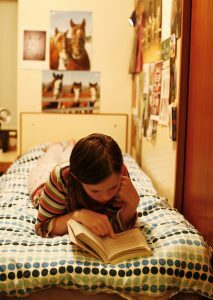 Boarders have easy access to all the House staff and also have a tutor who they meet with regularly. Is it true that boarding can actually make for a more harmonious family life? While children miss their parents a lot of the grunt of parenting is done at school, so weekends and holidays can be the fun stuff with family…. I think so. Without the pressures of the day-to-day routine of home life, pick-ups and stand-offs over getting Prep done and bed times, parents and their children can really enjoy family time together. Holidays are looked forward to even more as there is a real desire to spend time with one another. In your experience, is it the children or the parents that drive the journey to boarding school? In my experience, children are often keen to board before Mum and Dad are ready to let them go. This is not always the case as sometimes boarding is driven by family circumstances, such as parents who are ex-pats or work in the military. 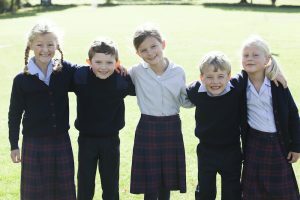 We try and encourage parents to look at the bigger picture – if their child is destined for a boarding senior school then it makes sense for them to gain some experience of boarding in the relatively cosy confines of their Prep school so that they can hit the ground running when they move on. What would you say to the statement that boarding school is out of synch with modern life, that it is an anachronism, even cruel? I would say that anyone that thinks that doesn’t really know what modern boarding consists of. There is no denying boarding school used to be tough. Older generations were sent away at a very young age and corporal punishment was the norm. But the world has moved on significantly and so have boarding schools. Children are now both seen and heard, their wishes and needs taken into full account. Communication has changed beyond recognition. In short, the main thing we do as a boarding school nowadays is make sure that the children in our care are looked after emotionally and physically, providing a stable, secure home-from-home environment. Some do. Many prospective parents who boarded at Prep school themselves are genuinely stunned when they see our facilities and pastoral care. Draughty dorms are very much consigned to history! Modern boarding is all about giving children access to a breadth of opportunity, building their confidence and independence and enabling them to learn crucial life skills in preparation not just for senior school but for their lives beyond. Who might boarding school not be suitable for? There are some children, namely those with certain learning and social concerns that boarding might not suit. However, with care and nurturing, in my experience, most children get an enormous amount out of boarding and flourish. 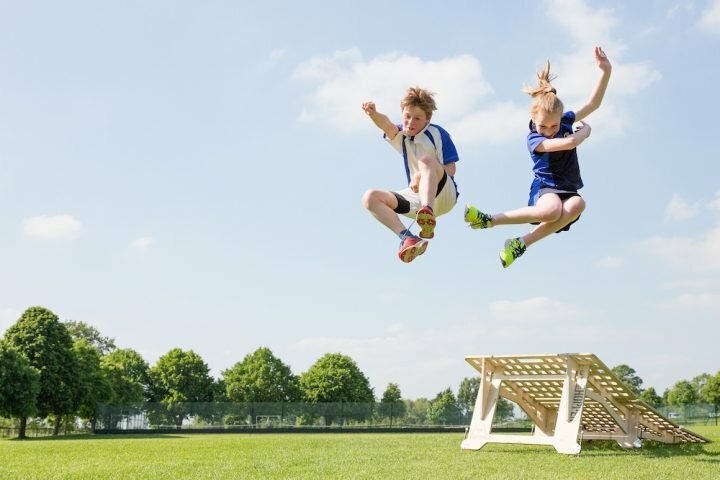 Boarding is still popular at preparatory schools as parents take advantage of a new style of boarding that accommodates today’s family. We all have busy lives these days, perhaps with both parents working to pay the school fees. Boarding can form an integral part of managing modern family life. It used to be seen just as a rite of passage to your senior school but I think we offer many other advantages in their own right. Children can benefit from the close-knit social and academic life within the school. It can also make financial sense if you take into account transport and childcare costs. It is also now a genuine partnership between parents and the School to ensure that every child gets the most out of their boarding experience and there are many more opportunities for parents (and grandparents) to visit and take an active part in school life. One of the major benefits of boarding is that children are able to make much better use of their after school time. Many of the boarding prep schools, Port Regis included, have invested heavily in outstanding facilities and so children have a vast range of activities they can get involved in, taking them away from the television, screens and the ever encroaching pressures of social media. 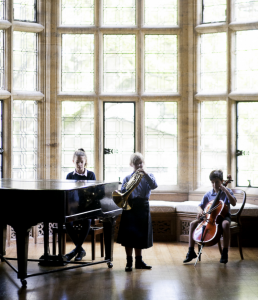 Adding this to the extra help with Prep and extracurricular activities, there’s a growing belief that boarding at Prep school offers the best all-round education. Check out the whopping facilities, modern Swallows and Amazons-style schooling and loads of outdoor fun at Port Regis at their next Open Day on Sat 6 October at 9.30-11.30am. In the meantime, take a look at our Muddy review.